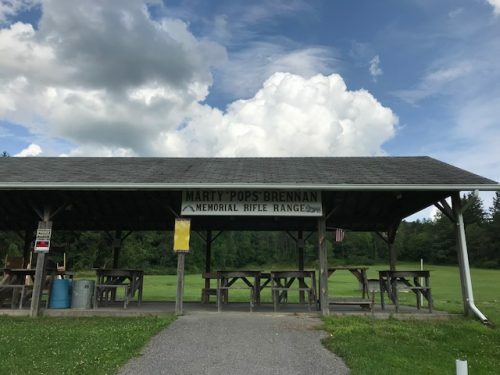 The following are the Standard Range Rules of all Ranges at the Attica Rod & Gun Club. Exceptions to these may be made for certain Club events.··Please read and follow them, as safety is everyone’s job. All federal, State and Local Laws will be followed-at all times. No exceptions. Any Violation of Range Rules will be cause for a hearing before the RSO· Committee, who will bring their findings before the members at the next Club meeting, and may result in suspension of membership or expulsion from the Club. Aiming a nocked arrow or firearm (loaded or not, including air guns) at another person is a serious violation and could result in expulsion from the Club. Members who allow their guests to shoot shall remain with said guests and supervise them at all times. Members are personally responsible for everything their guests do, or fail to do. Eye and hearing protection is recommended to be used on all ranges when firing is in progress. Firearms will be used only on their designated Ranges (see specific Ranges rules). When several members are firing on the same Range, one should act as Range Officer to ensure all safety rules are observed. When firing is taking place on Rifle Range there is no firing on Pistol Range which is considered closed. The same applies when firing is taking place on Pistol Range – there is no firing on the Rifle Range which is considered closed. Club Grounds are available on a first come, first serve basis. Please be courteous to other members. 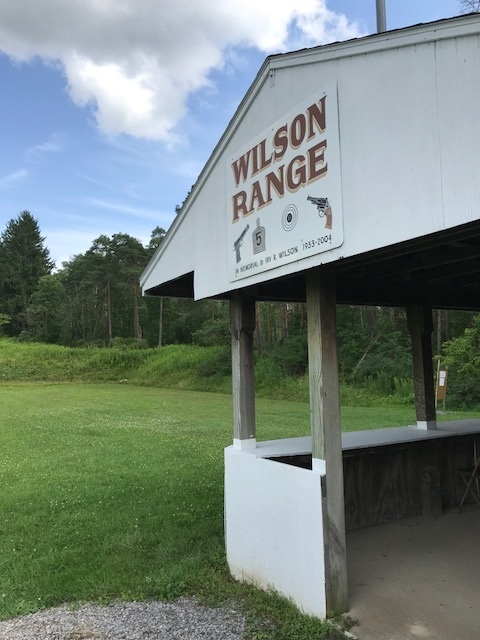 No firearm will be loaded anywhere on Club grounds except on the firing line of the appropriate Range. ·Exceptions to this rule are: licensed persons may carry, but will keep their sidearm holstered (except when attending Club shooting events, then all firearms will be unloaded until permission to load is given by the Range Officer). Also those members hunting on Club grounds may carry loaded firearms while hunting.